You broke it again, didn't you! True to Telera’s prediction, Valerie and I reached the shuttle bay just as the shuttle was passing through the shields. After it landed, four people disembarked: Alys, Jacob, Ben, and someone who looked like a reporter. The man was gawking at the ship around him as soon as he stepped out of the shuttle, apparently as shocked as I first was when I first saw it. Then he turned and saw Valerie and I. Apparently I have the Holo-Sith look down. Attempts by Alys and Jacob to calm him down went poorly until Valerie used an calming technique on him. That at least stopped the panicking, but the wild accusations and speculations about who we were and what our motives were didn’t stop. Alys and Ben resumed explanations and took our new guest to one of the recreational areas in an effort to keep him calm. I followed along at a distance and used the Mrs Beasley’s sensors to listen in on the conversation. That way I could hear what he had to say and why the others thought it important to retrieve him without being so close as to terrify him. We pretty much got confirmation regarding Huriel’s actions up until disaster struck. The Jedi Temple had been destroyed as a symbol of Huriel’s victory and he was making his grand speech of doom in the middle of the Senate building when everything froze. The Sith occupation of Coruscant was significant but not overwhelming in terms of strength. What was left of the Sith fleet was anticipated to be easy pickings for the Republic fleet once it arrived. No one had been able to figure out what Huriel had thought he was doing; He’d sacrificed most of his fleet to take Coruscant and couldn’t possibly hold it – which was why it had been possible. The military hadn’t anticipated it because it was suicidal – and the Jedi apparently hadn’t gotten anything clear about it. Why… oh, of course. Precognition wouldn’t cross an event horizon, so all the Jedi had foreseen had been a slim possibility of a suicidal attack which apparently didn’t go anywhere. Ben quietly focused the efforts of several of the others; the guy had been sucked into the pyramid technique – which meant that he might still retain an impression of what Huriel had THOUGHT he’d been up to.It would have been the top thought in his mind after all. He’d known about people who tried to probe the galactic black hole with the force being sucked into it – sometimes right out of ships that would be more-or-less damaged but had been well away from the hole at the time. Ergo, it had to be reaching them over the force link. Thus all he needed was enough power to anchor himself and establish secondary links to his targets – and they’d be drawn into the black hole. Admittedly, that would certainly destroy his body – but that was what the clone transfer ability was for. Ah glorious destruction! For the low, low, price of a new body – oh, and the destruction of most of his rivals aboard the Sith fleets and some ships and crews he would no longer need – he could wipe out the entire republic fleet and demonstrate his superiority over everyone else in the galaxy at the same time. It was a risk of course – but given the scale of the prize, an acceptable one. Except the Republic fleet was now far less than it was when the stasis effect went up. All fleet elements outside the stasis effect were likely to be long gone by now. So that just left what was left of the Republic fleet inside the stasis effect, but there was no good way to determine just how much that meant without an exhausting survey of the interior or dropping the stasis effect. On the other hand, given our assets around Alderaan, the captured Faded ships, and the Mrs Beasley, we could probably overwhelm the Sith fleet ourselves if we had to. Based on what sensor scans Ben was able to collect we also determined that those filaments of distortion around the Senate building were likely to be centered on Huriel himself. I wasn’t sure what exactly “event horizon filaments” meant, but if they were tearing apart the Senate building and centered on Huriel, then the odds of him surviving this without the use of a clone were abysmal. That did make getting to him difficult though. The destruction of the Jedi Temple was also concerning. I had honestly been expecting Huriel to be making his grand speech there with the captured or dead Jedi Council behind him for dramatic effect. If Huriel had managed to exterminate the vast majority of the Jedi Order in this attack, then that was going to make repairing this Galaxy even harder to accomplish. We were either going to have to start importing trainers en masse, or stay here ourselves for quite some time to get the training programs started. I didn’t have much faith in this group’s ability to teach any sort of a sane training program though. Probably means calling in favors with the Jedi or Varen back home then. Then the reporter informed us that a substantial number of Jedi had been captured and transferred to a prison ship currently in orbit around Coruscant. The defenses were supposedly impenetrable, but I serious doubt the designers had designed the ship to be impregnable to people operating in normal time while the ship itself was in stasis. It was beginning to look like a good time to rehash the tactic we’d used to capture the Shard of Devastation. There was serious potential there to get allies that could help us handle the Faded while we worked on fixing things. Good, I haven’t had a chance to screw with people who had no clue what was happening in some time. At which point Telera chimed in on my commlink. (Telera) We have a Linus Williams trying to hail us. He wishes to speak with you. From what I was able to recall, Williams was a leader of the more moderate factions. He was also one of the ones most interested in hearing what we had to say as opposed to flinging religious rhetoric at us. It probably was a good idea to see what he wanted then. Alys was still too busy trying to keep the reporter calm though to take over the negotiations. (Kira) Patch him through to my commlink then. I apologize for the lack of video feed when I talk to him. The commlink went silent for a moment before a chime announcing an incoming routed call started ringing. (Kira) This is Kira Keldav, I do apologize for the lack of visual feed at the moment, but please understand I am rather busy. I presume this is Linus Williams? (Williams) Indeed, I was hoping you could answer a few questions for us. (Williams) Was that ship that appeared to come out of the black hole really yours? And if so, how did you do that? Inquiring minds wish to know. Seems like that little stunt got their attention. (Kira) Yes, that was one of our ships scouting the interior of the event horizon. As for how we did that, we have an exceptionally powerful Binder known as an Atavist. It allows him to draw upon the power of the galaxy to sustain himself and others while the interior. (Williams) Pulling on the power of the galaxy? (Kira) Well, it is a little more complicated than that. I presume you are familiar with the concept of temporal stasis? (Kira) Well, a black hole interior is in stasis. An Atavist is able to anchor his timerate to the rest of the galaxy so that he is unaffected by stasis. Moreover, he can actually share that timerate with others in a small area. (Williams) Even a ship itself? (Kira) Yes, an incredibly rare and handy talent when you need it. Not that I have told him enough to enable him to find his own Atavist and try something similar. Just enough information to let them know what is going on, while keeping the how’s close to my chest. If I keep dangling bait in front of the seeming moderates, then it might be possible to get them to support some sort of a compromise. Williams then began asking a bunch of technical questions that I honestly had to defer to people more knowledgeable than myself. He was disappointed by the lack of specific details, but it did seem like we had gotten him and several of the other Faded really excited by just demonstrating the seemingly impossible. After a few more attempts by him to asking more probing questions, we agreed to suspend communications while we did more work and the Faded had more debates. Sadly, Jacob was showing significant signs of fatigue from his encounter with event horizon filaments. I really didn’t enjoy the idea of going into a ship that was completely dependent on him to function. While I could manipulate my own timerate, I couldn’t drag a ship along with me. So if Jacob went unconscious or something, I would still be able to act, but I would likely be stuck wherever I was until I either starved or fell asleep myself. Not a pleasant proposition to say the least. Voicing my concerns to Ben got him drawing up plans for a ship that was shielded the same way my armor was. Reiterating my concerns to him that I couldn’t share my time with the ship as I was affecting only my own timerate got him to finally reply that I just needed to share my timerate with the others using the Force – rather like those scientists who’d stumbled into hypertime but hadn’t been able to control it. Now why didn’t I think of trying that? I retreated to my quarters and grabbed one of the damaged anti-stasis layers to my robes. With that in hand I went to the nearest manufacturing bay and instructed the systems there to repair it according to the plans giving to me by Tailor Qwuam. I also instructed the droids to build some first and second stage stasis systems for testing purposes. I wasn’t about to enter a black hole relying on a piece of technology I didn’t fully understand until I had at least tested it under “safe” conditions. About the timeframe my stuff was completed, Ben announced his new ship was done as well. He and the others were ready to immediately venture back into the black hole to save the Jedi, but I was cautious and insisted on running tests. Smoche reasonably insisted that the tests be run outside the Mrs Beasley so it wouldn’t interfere with the internal systems. So a second stage stasis generator was erected on a giant retractable pole attached to the surface of the ship. That would hold the stasis field far enough away from the ship to keep the stasis from causing the ship issues. I prepared to run my tests of the armor layer and then the armored ship when Valerie approached. (Valerie) So what exactly does that jumpsuit do? We weren’t able to discern it from the ruined specimen you brought with you when you arrived on the Winter Moon. (Kira) I don’t really understand how it works, but despite the fact that you would expect the use of hypertime to counter stasis, it does not. Ben stumbled upon a design for a coating that can block whatever it is that enforces the stasis effect. (Valerie) So why don’t you coat all your ships with it? That would be an immense advantage in battle. (Kira) Yeah it would, but for whatever reason, blocking the stasis is not enough. You have to generate your own timerate as well. Jacob seems to get by the need for shielding by simply overpowering the effect. I can get around it by virtue of the fact that I can use hypertime. The original design was for a three meter shielded ball you stand in. We were able to consolidate the design into what you see here. I could feel the gears turning in her head as she thought through the implications. Implications I had no doubt used myself on more than one occasion. Well, there was no harm in dangling a little bait in front of her and seeing if she took it. (Kira) Care to try? The designs are on file, the droids would just need your measurements to make you one. (Valerie) I want to see you try it first. (Kira) Don’t trust my account? (Valerie) Well you obviously feel the need to test it before relying on it. That implies it isn’t as safe as you say. (Kira) Touche, although the one failure mode I know of is probably irrelevant now thanks to your assistance. (Valerie) Ah, one of those types. With that we headed to the surface to run the tests with Ben and Jacob. The initial tests with the clothing layer were successful with no mind swapping taking place. That was a good sign, but not exactly what we needed for this mission. Ben and Alys both tried their own variations of the clothing layer with little success. Neither had the power needed to overpower the stasis effect and would freeze in time. So they had to be dragged back out with ropes. Valerie then quickly showed up with her own suit and tried the technique herself. Unfortunately, she found that while she could activate the technique, her control was so bad that her timerate would waver badly until she eventually froze. This frustrated her to no end from what I could feel and she tried several times to make it work to no avail. Yes, I do think we are seeing some of the lesser known side effects of the Dark Side in action. It will be interesting to see how she responds to this failure. Besides, it wasn’t like both of us were going into that black hole at the same time. That much was obvious to both of us. One of us needed to stay outside to anchor the other in case of accidents. Since I was having a much better time controlling the techniques critical to this mission, that meant she had to remain here. It did take several tries to get the technique down for sharing time with the shielded ship, hamster balls, and other people in the shielding. We also learned the hard way that I couldn’t have my clothing layer active at the same time I was trying to share time. That meant I had to turn off the clothing layer when supporting others. That was an annoying lack of redundancy, and the fact that I couldn’t use precognition to anticipate a shielding failure and activate my own clothing layer was concerning as well. Not that using precognition near those damned filaments was a smart thing to try anyway. With the tests completed, it was time to decide who would go into the black hole next and what our next objective was. Initially I was all for getting Huriel, but the revelation of a number of Jedi stashed aboard a prison ship in orbit around Coruscant was a prize too tempting to pass up. Besides, trying to extract them after we brought the stasis field down was going to be a lot harder. It was also decided that Jacob and I both had to go since we could support each other with supplying time. Valerie had to stay here for obvious reasons. Ben and Alys also volunteered to come along and assist and Lazlo decided to tag along. Ben also specifically left Shipwreck; according to what little he could make out, taking Shipwreck along was likely lethal – and all the versions of him that came back out had prevented him from trying to scan anything on Coruscant, which meant that he wouldn’t be a lot of help anyway. He’d be a lot more help keeping an eye on the faded. With that decided, we bid farewell to the rest of the crew and took Ben’s custom shuttle into the black hole. Jacob piloted, while Ben and Alys supported him. It was decided that Jacob and I would alternate sleep rotations: Jacob would sleep for eight hours, then we would both be awake for four hours, I would then sleep for eight hours, and another set of four hours with us both awake before the rotation began again. So I took the opportunity to nap during the journey to Coruscant. Alys had the drag better mapped by now… It seemed to pull towards the primary hyperspace routes and THEN tried to funnel you into the center of the galaxy – but only while you were in hyperspace. It was more pronounced around Coruscant too. Judging by what they’d gotten from the reporter about Huriel it almost certainly had something to do with those “event horizon filaments”. Were they really extending along the low-energy hyperspace routes? Feeding the energies of hyperspace – and anything in it they contacted – into the black hole? Had Huriel actually been mostly right, save for one critical bit? That was doing better than MOST Sith! Alys woke me after we reached orbit around Coruscant. Part of me idly wondered how we could orbit a planet frozen in time, but I lost that train of thought when it came time to determine which of the Sith ships was the prison ship. I was surprised to see that the ships wouldn’t even classify as star destroyers back home, yet were considered major warships of the era. Has the Republic back home been steadily building up infrastructure while maintaining the illusion of stagnation? 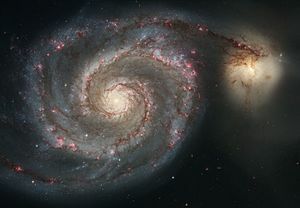 Now it would be interesting if the Republic has been slowly growing but never realizes it because the proportion of the Galaxy it occupies remains the same. Alys eventually pointed to one of the Sith warships and announced that it was the one the reporter told us about. It didn’t look any different from the others to me save for the location of the blast marks, but I took her word for it. It was an absurdly simple task to fly directly through the shields and dock with one of the airlocks. All the impenetrable defenses of the ship and it was the simple door frozen in time that provided the first major obstacle to our progress. I wanted to simply cut through the door with my lightsaber, but got vetoed by the others worried over the ship going through explosive decompression once the stasis dropped. My reply that this was what blast doors were for got disapproving looks from all of them. This resulted in nearly an hour’s effort to pry open the outer door and then another hour to pry open the inner airlock door. The inside of the ship was much like we anticipated, although none of us were familiar with the exact ship layout. It didn’t help matters that the crew didn’t feel the need to post maps anywhere, despite the fact I would have thought it prudent on any ship large enough to have to use more than one digit to number decks. Unfortunately, exploration beyond our own ship was limited to either staying near Jacob, or with everyone crammed into one of the hamster balls with me. That made navigating the corridors tricky to say the least. And so began our search of the ship the hard way. Jacob began screwing with the crew of the ship as we found them by stealing datapads, tying shoe laces together, unplugging computers, and other pranks. I got into the mood as well by using the marker I had on me to scribe taunting messages on the walls, removing powercells from weapons, and other annoyances. Eventually though, Jacob had to take his turn sleeping and we had to accordingly load back into one of the hamster balls. Interestingly, when I fully took over the job of maintaining time, the various objects around us became much more clear to the eye. Color, contrast, focus, and more improved substantially to our eyes. This implied a number of interesting things about the differences between what Jacob is doing and what I am doing. It also firmly establishes the fact that the fuzziness is an artifact of our techniques for getting in here as opposed to something fundamental to how space and time might be distorted in here. With Jacob napping in the hamster ball, Alys drove the hamster ball through the ship as we did a systematic search of the place. I lost track of how many corridors, rooms, and crudely kept maps we ended up going through. We did finally end up finding a location where a large number of guards, droids, and Sith were standing watch with security doors that looked like they could handle Lazlo’s strength. I ended up leaving the hamster ball on more than one occasion in order to move people and droids out of the way and to get the security doors open wide enough for the hamster ball to drive through. Eventually though we were inside the secured area. What we saw on the other side really surprised me. There were hundreds of captives. Possibly even more than a thousand given how far the main chamber went. The vast majority of them looked to be students from the Jedi Temple of various ages. The actual number of adults was disturbingly low with most of the few we did see being quite elderly. I think most everyone of fighting age didn’t make it. Oh well. No real reason to worry about that. They’d find out soon enough anyway. This was far more Jedi to rescue though than I think any of us were expecting. Ben busily started calculating how much cargo space we needed, while Alys started figuring the logistics of moving this many people given the limitations we had. Without any input from them though, I could tell the fact that our ship was on the far side of the warship from us was going to pose challenges. Jacob awoke, and that gave me more freedom of movement to do a rough head count of Jedi and to start looking for better access points for transporting them all. I counted 1,320 captives, along with eight Sith, over three hundred soldiers, and a few thousand droids. Most looked to be in various stages of being drugged or confined in shielded cells. There also looked to be a large shuttle bay nearby that our own ship would fit into. It would be another annoying matter of opening doors frozen in time again, but we’ve gotten quite good at that. The real issues were going to be logistics and space requirements. Alys then produced a work schedule and logistics plan for moving all the captives. I looked it over, thought it reasonable, and didn’t quite comprehend what she thought made it so much more efficient than any other plan possible. Ben announced his calculations showed we could rescue all the captives, but we were going to have to stack them all tightly in almost every nook and cranny we could find aboard our ship. That meant keeping them all in stasis for the journey or risk a very uncomfortable set of circumstances. But we hadn’t brought 1,320 stasis belts with us. Plus we weren’t real keen on going back to the Mrs Beasley while making multiple trips or hauling large amounts of equipment back and forth. Ben and Alys didn’t want to relocate the ship to the shuttle bay I had found, but Jacob and I wanted to cut down our walking distance. As the argument over what exactly to do dragged on, Jacob and I looked at each other, nodded, and then stopped supplying time to Ben and Alys as we walked back, undocked the ship, moved to the shuttle bay I had found, docked, and then walked back to Ben and Alys. We made a point to stand in the same spots we had left as we resupplied time to Ben and Alys. That annoyed Ben and Alys to no end, but that only encouraged me to laugh more. Jacob found it funny to periodically announce the completion of tasks prematurely just to see their reactions to the perceived time loss. It was cute the first time or two, but like most things involving Jacob, it got old fast. Moving people from the secured area to the shuttle bay and then into our ship also got old fast. It was still a quarter mile walk each direction carrying a lump of dead weight that refused to be easy to carry. As the tedium of the task wore on, I found myself focusing on the Bond with Valerie. My use of Tempus and being inside an event horizon prevented me from doing any active probing at the Bond, but I could still sense her presence through it. This really was the first time being this far away from her since I learned of the Bond. The few times I was sent out on patrols of Varen space didn’t really count since I was still focusing so much of my power on healing and stamina at the time. Now I have little else to focus on beyond it and my own thoughts. I could readily tell she was doing fine. I could even put a dot on the wall indicating what direction she was relative to me. She too was avoiding actively probing at the Bond. Probably over concerns of the fact that I was inside an event horizon, and probing across those with the Force was definitely a bad idea. Sensing her presence out there did a lot to take the tedium out of the affair as I could focus on reading what I could passively from her while carrying yet another child back to our ship for packing. It was many days of hauling people back and forth. Despite the lack of anything to interfere with us, I was always uncomfortable sleeping in here. Knowing that I was utterly dependent on Jacob for supplying me with time while I slept did not do a lot to lessen my fears. About the only real comfort we had was that the buttons here in the black hole could not do anything while stuck in time. Finally after several days of work, we had all the Jedi loaded into the ship. Then came our next problem. We could return time to our ship via either Jacob or I, but that would return time back to the densely packed Jedi as well. But we couldn’t move the ship without giving it time. It was Ben who suggested that I attempt to hold all the Jedi in stasis using my Force abilities to “share” my Codex abilities. This wasn’t exactly something I had practiced to do, and it wasn’t something I was going to do while Jacob wasn’t standing by either. Of course, that led to even more complications of how close could he stand to me while I am trying to manipulate the timerate of people in stasis. All the while Jacob was supplying time to me. Eventually we had to settle for the fact that I couldn’t keep the Jedi in stasis, supply time for the others and the ship, and maintain my own timerate at once. It was too many opposing techniques to try and balance at once. That left Jacob supplying time for me, Ben, Alys, himself, and the ship while I insulted the Jedi from Jacob’s influence on the Jedi. That was not easy given how haphazardly Jacob threw his power around. It took a lot of focus to keep the Jedi from receiving any time while also allowing Jacob to affect the ship. I ended up settling into a meditative trance like Telera taught me as I sustained the technique against Jacob’s wild power. Unfortunately, Huriels pyramid technique had swept up the Jedi as well; even they could not resist the massed – if normally latent – force potential of Coruscant. They were still a significant power-focus though – and moving them into hyperspace while they were linked to Huriel made them a magnet for the filaments of destruction that were currently reaching through hyperspace. The drag on the ship built rapidly as the annihilating fracture in reality closed on the ship. Alys spotted whatever-it-was closing first – but the shields proved useless evasion didn’t help much. Ben’s attempt to coax more power from the engines wasn’t enough either – and the strain on Jacob was growing with terrible speed. Lazlo, with his sensitivity to “frozen” minds, was the first to realize that – by taking along the Jedi in hyperspace, they were dragging whatever-it-was after them. Still, if he could break the Jedi free of Huriel with his own pyramid technique, it ought to stop it. On the other hand, if they slipped out of stasis, their massed power would annihilate him. Of course, it might be only seconds until that happened anyway. Next thing I was really aware of was Ben suddenly storming into the corridor I was sitting in as he cursed up a storm. I really didn’t have the attention needed to try to fathom what had gotten him into such a tizzy given that all of my focus was spent trying to keep the Jedi from getting into a really bad situation. Matters were not helped when Lazlo joined in and started running the pyramid technique on all the Jedi. That started supplying time to the Jedi directly then. Ben was yelling at me to keep them in stasis while Jacob and Lazlo were busily supplying time to them. Just as I felt like I was going to get overwhelmed by the combination of stresses, Lazlo started letting go of the links he had been busily creating. That gave me a better hold of those he let go again, but it reinforced Lazlo’s effect on the ones he hadn’t let go of yet. What followed was a mad race against time (literally and metaphorically) as we tried to outrace each other’s powers failing. The race was only exasperating the problems and despite it all, Ben was shouting at Lazlo to move faster. I am going to smack Ben when this is all done. Ben would find it interesting later; when Lazlo had broken the Jedi out of the pyramid, the black hole had shrunk by about forty light seconds – and a couple of hyperspace beacons had re-appeared. Evidently the pyramid scheme really was – at least indirectly – powering the black hole. Well, so much for technological theories. The last Jedi Lazlo released his grip on had enough time to utter “Huh” before I got I got her back into stasis with the rest. Not really having the concentration needed to begin swearing at Lazlo and Ben, I gave them both angry glares instead. That resulted in the two of them pointing at each other and gesturing to the back of the ship while muttering something beyond my ability to understand right now. Finally giving up trying to get my point across, I sat back down and resumed the meditations to help me hold the techniques together. Next thing I knew was being sat down on a floor in another ship by Khadim. Demanding explanations, it looked like Jacob and Ben decided to leave the ship full of Jedi inside the event horizon while getting a cargo ship to the other side of the event horizon to offload them to comfortably. In setting this up, Jacob stopped supplying me with time while I was holding the Jedi in stasis. Now Khadim and Jacob were busily finishing preparations for offloading the Jedi. My annoyance at the process was lost on them. It was decided we would get one of the more senior Jedi out of stasis first and explain to him so that he could then explain to the others as we brought them out too. The Jedi Elder was visibly startled by his new environment, and wasn’t especially happy to see me. At first I wondered how a Jedi stuck in stasis for millennia had managed to know who I was, but then I remembered that I was dressed as the Sith Verun Navaro these days. I let Alys and Ben handle the explanations, as I took the moment to lean against a wall and relax a bit. Maintaining Force and Codex techniques almost continuously over the course of days was stressful beyond words. Actually being able to let my power idle for a bit a relief. The Jedi Elder didn’t seem to buy a lot of the explanations. Ben and Alys ended up supplying a number of demonstrations, sensor readouts, witness accounts, and general history before the Jedi was willing to entertain that we might be telling the truth. He agreed not to attack everyone else on board the Mrs Beasley for the time being while we rescued the other Jedi from the other side of the event horizon. Personally, I was too tired to really help with that effort and so I rode the first shuttle back to the Mrs Beasley with the initial batch of Jedi. Khadim and Jacob worked on extracting the others while the others ran the shuttle ferries. At least the Mrs Beasley was still here. It didn’t look like the Varen Council had come to steal it while we were indisposed. Of course, it was in their best interests these days to keep supporting us. As Virstris says “Trust those with a vested interest in your success.” The Jedi, on the other hand, were dangerously principled, outnumbered us immensely, and too many of us were Sith or associated with Sith. It’s sad when I have an easier time trusting the Sith than a horde of Jedi we just rescued. Valerie was waiting for me at the shuttle bay. She watched the Jedi disembark while droids escorted them to various quarters that had been set up. She was using the Codex and her assassin training to avoid appearing as a Force user. It worked as the Jedi paid her little heed as they walked past her. (Valerie) How did it go? (Kira) I help save 1,320 Jedi from millenia of imprisonment, and they are considering how best to eliminate me and take over the ship. I can’t seem to win. (Valerie) You do have really bad luck when it comes to first impressions. Of course if you would work on that charm…. (Kira) Oh what? Performing the impossible, unlocking the secrets to powers you’ve only dreamed of, defeating mighty Sith Lords, travelling to parallel galaxies, ignoring the entire Faded fleet, moving planets, and rescuing hundreds of children not enough? Now I have to be charming as well? (Valerie) Of course, I demand perfection.